A true minimalist. 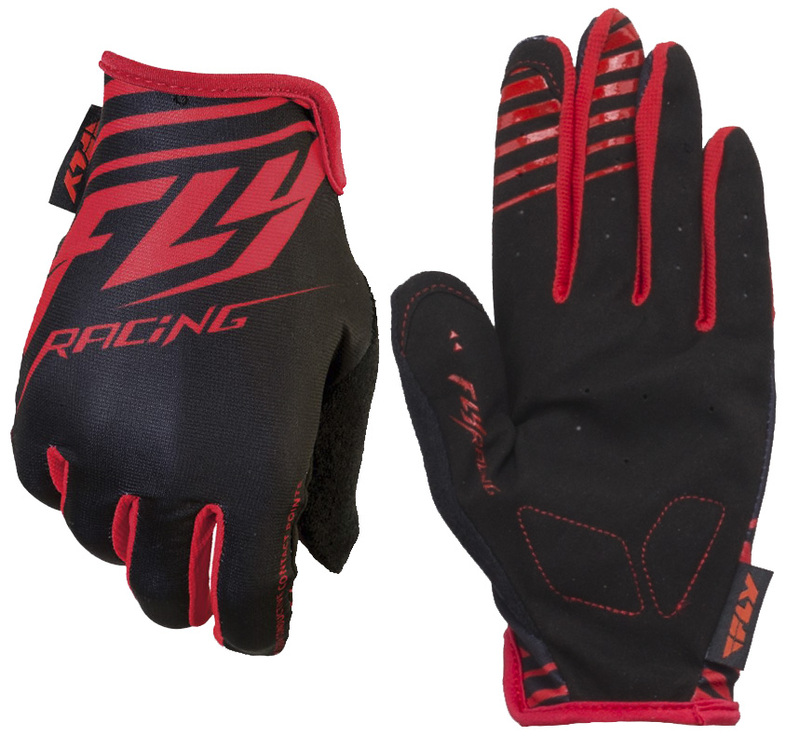 The Fly Racing Media Glove has the perfect balance of comfort and convenience. With minimal palm padding, the Media Glove will give you ample support and comfort throughout your ride. The silicone print on the fingertips ensure grip and peace of mind. 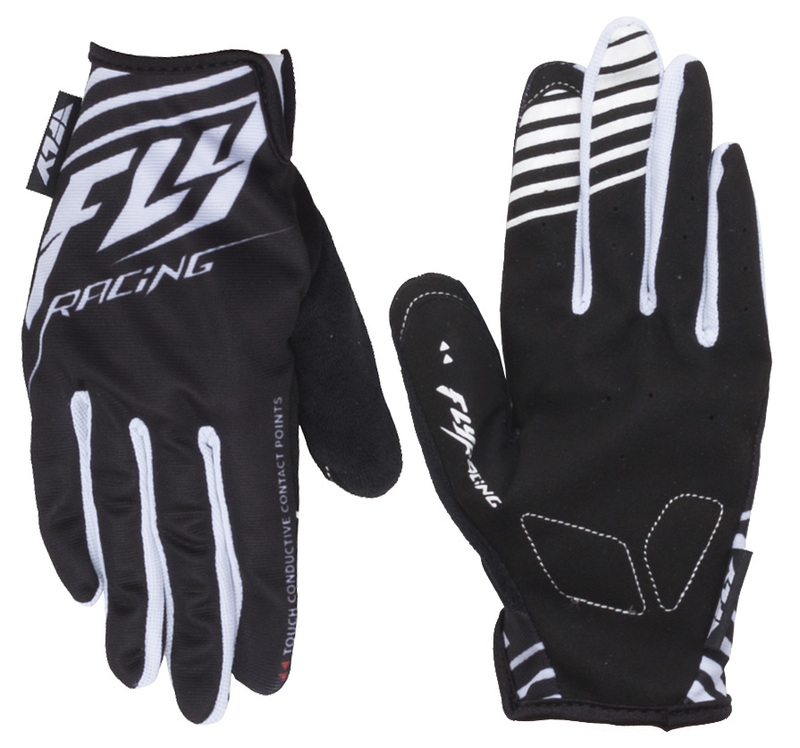 The Media Glove is touchscreen compatible, so you can check your phone and send a quick message on the fly. I can normally wear a large, but can't even get 4 fingers into these. These fit great and breath well. No complaints! Little flashy but that never hurt anyone. Nice pair of gloves for the price. They fit nice and tight and are very comfortable. good for cross country. light with minimal padding. Medium size fit me perfect, a little snug to get on but the finger length is perfect which can always be a little dicey. Well made, low price really no flaws as of yet. 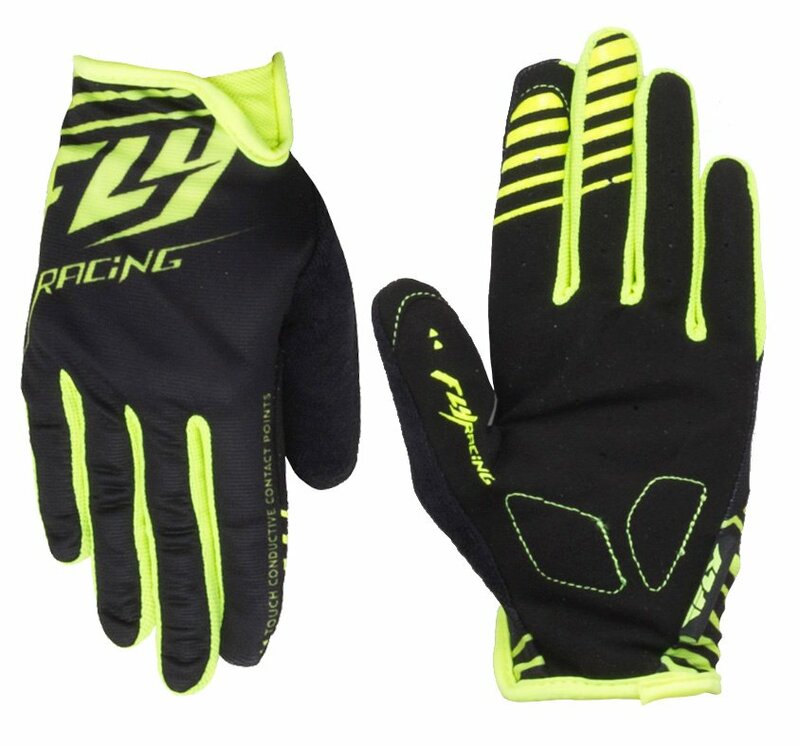 Awesome gloves with good looks. Delivery was very fast, I live in NL and they arrived even before the expected date. Almost like not wearing anything. I measured and ordered a Large, but they are tight through my knuckles. They may stretch a bit and get better. Granted I hate gloves that are loose and bunch up so being tight isn't a deal breaker for me especially at the price. Reviewed already, i dont like them. Piping too big and fingers/size is way off too small. The gloves are nice but I ordered extra large. I couldn't fit my hand in the opening so I cut the webbing and I can now struggle to get them on. Other than that they seem pretty solid. The gloves seem to be constructed well. They are thick in the palm. I ordered 3xl and struggled to get them on. I double checked the inner tag and it showed they were 3xl to my surprise. Fit more like an xl. The webbing in between the thumb and the index is tight and will probably be the first place to tear. They fit and felt great and about 2 months in the seam let go inside the thumb and fore finger area. Will not purchase another pair. comfortable light weight gloves with good size sweat/snot wipe on the thumb. They only lasted a few rides though before the stitching gave way at the seam. Definitely would recommend and buy again. Fits like a glove - what else is there to say. Light. Comfortable. Does the job.